Going strictly by segmental classifications, these cars shouldn’t compete with each other. After all, one’s a crossover, one’s a large SUV and three fit the description of a small SUV. On paper, they are very different cars that should appeal to different sets of buyers. In reality though, these models operate in the same space and actually target the same buyer set. That they are also available in the same price band and with similar engine-gearbox options only strengthens the case to pit them against one another. Over to the contenders, then. 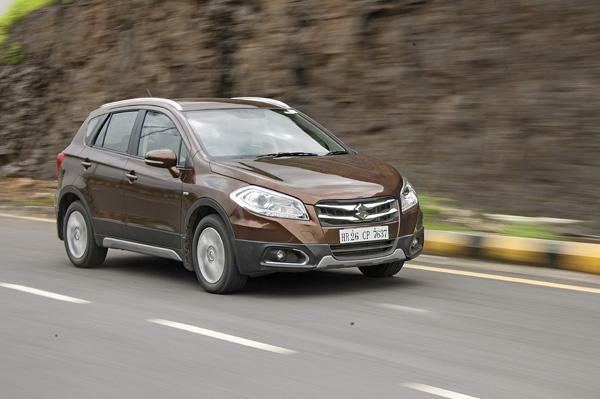 First up, we have the new S-Cross from Maruti. The S-Cross is unique for its crossover shape and is a model that Maruti promises offers a distinctly premium experience. For this test, we’ve taken the more powerful of its two diesel engine options. Then there’s Hyundai’s contender that comes in the form of the Creta. The overwhelming response to the small SUV suggests Hyundai has got it right but, an objective analysis will tell you if the hype are worth it. Here too, we’ve featured the more powerful of its diesel engines. Of course, Renault’s popular Duster had to be here. Let’s not forget it is the model that really started the small (not compact) SUV revolution in India. With us for this comparison is the range-topping Duster AWD. Its cousin, the Nissan Terrano, is also one of our contenders. The Terrano may be a rebadged Duster but you’ll agree it’s got its own appeal. Finally, we have the Mahindra XUV500. It has been updated recently, and we're considering the front-wheel drive version. First and foremost, let’s just highlight that the XUV500 is the largest of the five cars here. At nearly 4.6 metres long, 1.9 metres wide and 1.8 metres tall, it really does look a class larger than its rivals. 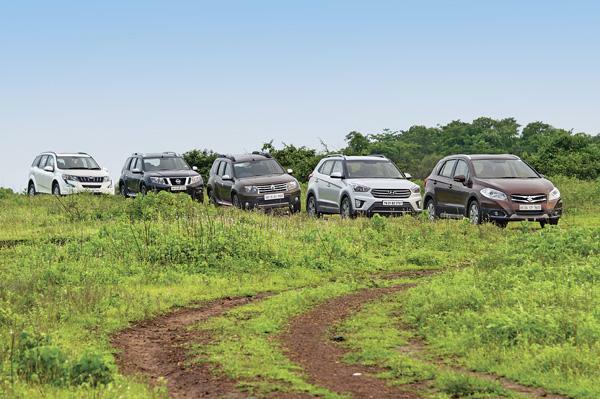 The S-Cross, Creta, Duster and Terrano are a lot closer to each other in size. They are all in the region of 4.3 metres long, 1.8 metres wide and 1.6 metres tall. Still, despite the similarities in size, the S-Cross looks the smallest. The drooping nose, hatchback-like roofline and relatively soft contours are to blame for this appearance. Quite honestly, the S-Cross doesn’t have the same road presence as the other SUVs here. 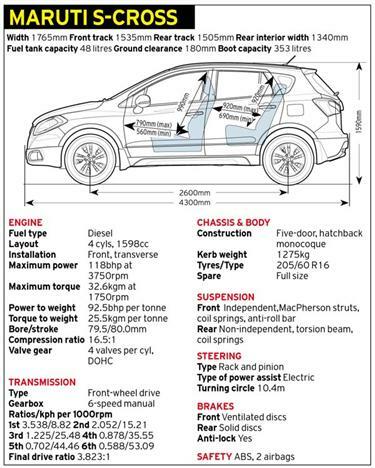 To be fair, Maruti has not once referred to the S-Cross as an SUV. But even judged as a crossover, the S-Cross is quite dull looking. At least, the plastic cladding and scuff plates are well executed and add some toughness to what is really a large hatchback. The Hyundai Creta, on the other hand, is more traditional SUV in shape. It’s got a nice upright stance, the bonnet line is high and the thick C-pillar does add further solidity to the design. Styling too is restrained and mature. Nice bits include the neatly detailed front bumper, the blackened A-pillar that lends the windscreen a wraparound look and the smartly rising belt line. The tail, with its low-set number plate recess, looks a bit plain though. Incidentally, plain is not a word you can use to describe the XUV500 that actually comes across as over-styled; and that’s despite a new nose. The 2015 car gets a toothy grille, more contoured bonnet and new headlights with Z-shaped LED light guides. Styling may be less of a mish-mash of varied elements now but details like the chrome shrouds for the new auxiliary lights on the front bumper look gaudy. You won’t find such stylistic flourishes on the Duster or its twin, the Terrano. Detailing is simple and there’s a certain honesty to their shapes. Both do command attention though. The large wheel arches, muscular flanks and chunky C-pillars give them a strong stance. What’s nice is that the two have enough visual differences that you won’t confuse one for the other. Things that add to the Duster’s appeal include its blackened headlights, the blister effect near the tail-lamps and the AWD version’s smoked grey alloy wheels. The Terrano, with a nose that links it to Nissan’s own Pathfinder SUV and exclusive alloy wheels, looks special in its own right. Where both the Renault and Duster fail to impress is in their use of cheap, lift-to-open door handles; all others come with richer-feeling pull-to-open door handles. However, it must be said none of the five cars stand out for exceptional build quality. 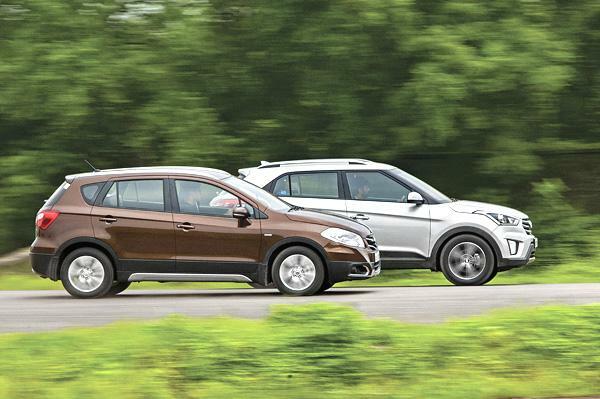 The Creta and S-Cross do come across as the best built though. Each of these monocoque-bodied cars places its engine transversally with power channelled to the front wheels. When required, the Duster AWD additionally relies on a Nissan-developed electromagnetic torque converter to send power to the rear wheels. The Duster’s AWD system gives you the option to choose between two-wheel drive mode, four-wheel drive mode and ‘auto’ that automatically distributes torque based on available traction. The Duster AWD and Terrano also differ in their rear suspensions. Where the Duster AWD, like the XUV500, features an independent, multi-link rear setup, the Terrano relies on a non-independent, torsion beam arrangement – something you’d find on the S-Cross and Creta as well. Up front, though, all of these cars use independent, MacPherson struts. Ventilated front disc brakes are the norm here but only the S-Cross and XUV feature discs at the rear too. What is heartening to know is that all cars except the base Terrano XE come with anti-lock brakes. While on the subject of safety, it’s important to highlight that the Terrano and Duster get a driver’s side airbag as standard while their top-spec versions get one for the passenger as well. The S-Cross, Creta and XUV feature dual airbags as standard, but the Hyundai and Mahindra can be had with as many as six. Also worth pointing out is that top versions of the Creta, XUV and Duster AWD come with the added safety of electronic stability control. 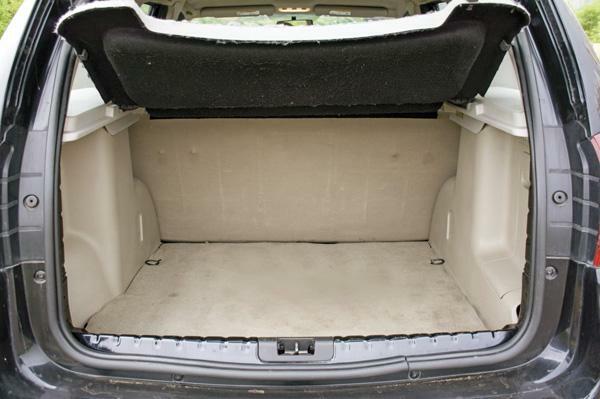 Thanks to the S-Cross’ relatively low height, you don’t walk into its cabin, but slightly lower yourself into it. The feeling from behind the wheel is correspondingly of sitting in a raised hatchback. The all-black cabin is well executed, quality is largely impressive, the textured finish above the glovebox looks sporty and the faux-aluminium bits further liven things up. The blue-rimmed instruments also add their share of colour. The dashboard is simple but looks modern thanks to that high-res touchscreen. Bits like the power window switches and mirror controls that come straight off lesser Marutis do cost the S-Cross some points though. The Creta’s cabin is more impressive in that sense. There are very few cheap bits inside, and overall quality is the best here. Detailing is also rather impressive with elements like the contrast stitching on the padded armrests adding a degree of richness. The two-tone dashboard itself is well turned out and looks unique for the way it seemingly flows into the front door handles. It’s a user-friendly cabin too with all controls in easy reach and the central screen positioned high up and in the driver’s line of sight. Speaking of which, drivers will love the commanding view out from the XUV’s high-set cabin. The cabin, with its revised dashboard, looks a lot better than before too, largely thanks to the new black and beige colour combo. Unfortunately, fit and finish, though improved, are still far from the class benchmarks. That’s true about the Duster AWD’s and Terrano’s cabins as well. 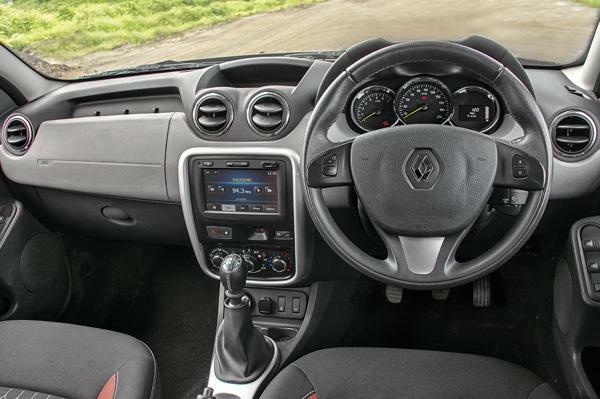 Sure, Renault has given the Duster a new three-spoke steering wheel, soft-touch plastics on portions of the dash, and silver inserts on the centre console and door handles, but these changes don’t mask the appearance of a cabin that’s still rough around the edges. The lift-type door locks and manual air-con knobs look pre-historic and the low position of the touchscreen gives the impression that the dash wasn’t originally designed to host one. There are other ergonomic anomalies too. The electric mirror adjust control is located under the handbrake while the secondary audio controls are positioned on the steering stalk (and hence, out of view) rather than on the steering itself. 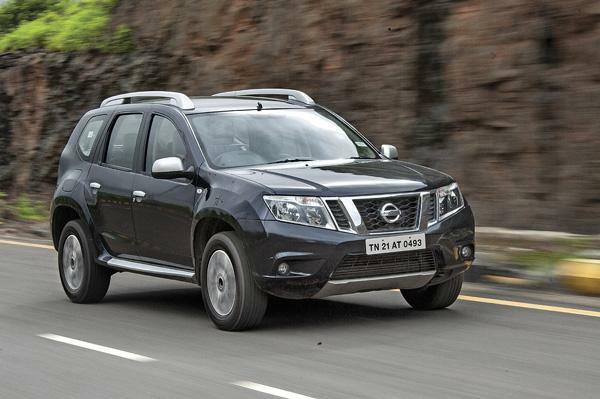 The Terrano is expectantly no better and actually does without the improvements made to the Duster over the past year. The simple instruments and outdated audio player drag things down a fair bit. What’s more, the Duster and Terrano aren’t as generous as the others when talking space for bottles, especially at the back. Among the cars here, the Creta offers the best front seat comfort. The seats are large, well-positioned and cushioning, at least on the leather seat versions, is well judged. 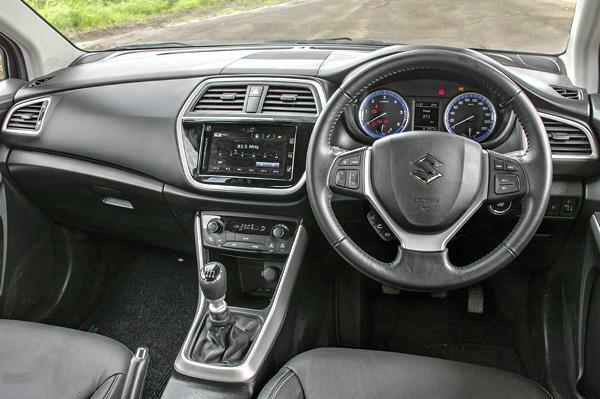 You won’t find fault with the S-Cross’ well-finished leather seats either and what helps driver comfort is that the Maruti’s steering adjusts for both rake and reach. The latter is possible on the XUV too but the range of adjustment is limited; the steering feels too high even at its lowest setting. As for front seat comfort, the XUV does well for itself though side bolstering on the shapely seats verges on excessive. The flat front seats on the Duster and Terrano are a lot more supportive than they look but there’s no dead pedal on either and the rudimentary driver’s seat height adjust is cumbersome to use while seated. In the back, the large XUV unsurprisingly offers the most space. The middle row can easily accommodate three and, though somewhat lacking in thigh support, it’s comfortable enough too. Third-row space, comfort and access are average at best but you can’t ignore the flexibility that comes with the two additional seats. 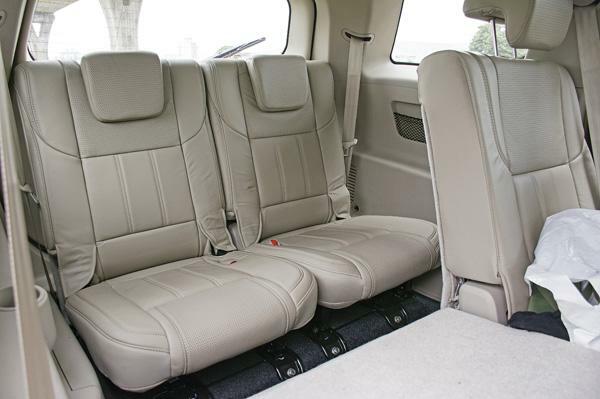 Of the others, the Creta offers the most space to rear seat passengers. However, the well contoured rear seat is still a place best for just two; the bulging centre backrest limits middle passenger comfort. The rising window line also denies Creta rear seat occupants that panoramic view you expect in an SUV. Rear passengers actually get a better view out from the S-Cross; the higher position of the rear seats vis-à-vis the ones up front helps here. Legroom in the Maruti is good and the comfy seat can be adjusted for recline too. But comfort for three isn’t great and headroom is also just about sufficient. 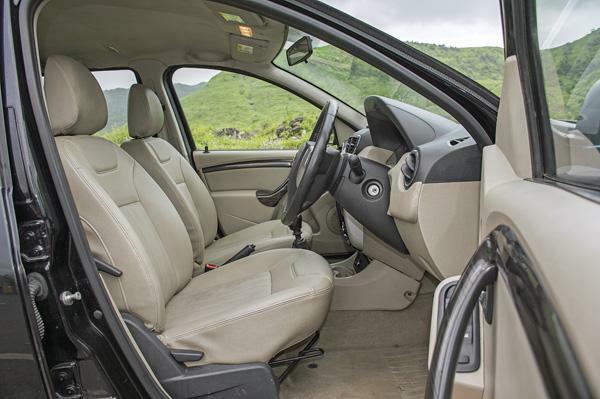 The rear sections of the Duster and Terrano’s cabins, on the other hand, score for seat comfort , head- and shoulder room, and the good view their large rear windows afford. Irritatingly, both position their rear window switches awkwardly on the elbow rest and this can inadvertently make you activate windows. The Terrano’s tower-like rear air-con vent is also oddly placed and eats into middle passenger legroom. In that sense, the stock Duster comes across as the better option for those needing five seats. With all seats up, the Duster and Terrano offer the most luggage space and the XUV the least; but with the third-row seats folded, you get a large enough loading area. All cars do offer the option to fold the rear seatbacks to make more space though only the ones in the S-Cross and XUV split 60:40. The S-Cross has the lowest loading lip too. 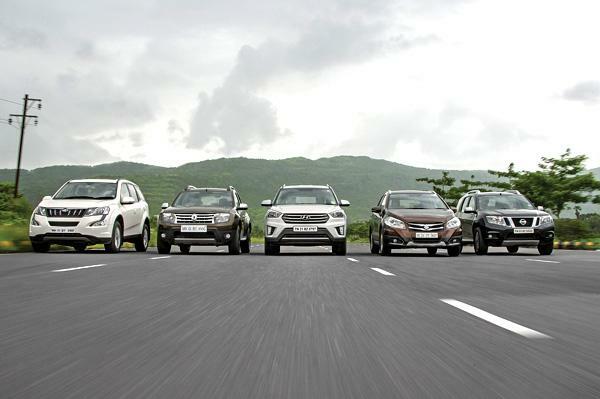 For this comparison, we’ve used the top-spec versions of the S-Cross, Creta, Duster AWD and Terrano and the second from top W8 trim of the XUV500. Each of these cars comes with aux-in and USB ports with Bluetooth for music streaming and telephone functions. The Creta additionally features 1GB onboard music storage while the Terrano is the only one here to feature a CD player. However, the Nissan is also the only one to come without steering audio controls or a factory fit touchscreen system; all the others here get touchscreens with navigation. The S-Cross and XUV’s systems further feature voice commands for some functions but they work with varying levels of success. All the touchscreens are nice enough but the Creta and Duster display picks up glare, affecting readability. It’s the S-Cross’ screen that has the best contrast and most resistance to reflections. 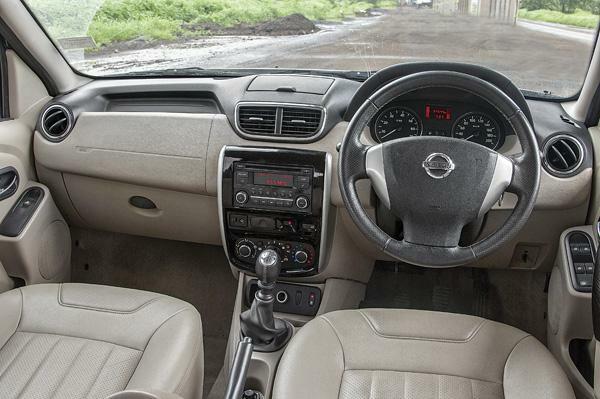 while the Duster and Terrano chug along with rudimentary-feeling manual knobs for the air-con controls. Talking ventilation, rear air-con vents are part of Creta, XUV and Terrano kit but aren’t available on the S-Cross and Duster AWD. Also worth noting is that the Duster offers leather seats as an option where all others get it as standard. What’s good is that all these cars get reverse parking sensors though the S-Cross and Creta additionally come with auto-dimming mirrors and rear-view cameras. The well-loaded S-Cross is also the only car aside from the XUV to come with rain-sensing wipers and automatic headlights. All cars here come with four-cylinder diesel engines that use common-rail technology and feature variable geometry turbos. Save for the S-Cross that debuts a Fiat-sourced 1.6-litre diesel engine in India (christened DDiS 320 by Maruti), the other cars feature engines already familiar to us. The Creta uses Hyundai’s 1.6 diesel seen before on the Verna and Elantra, the Duster and Terrano come powered by Renault’s ubiquitous 1.5-litre K9K engine, and the XUV continues with its significantly larger 2.2-litre mHawk diesel. All the cars competing here use six-speed manual gearboxes. The S-Cross’ engine makes a healthy 118bhp but the headline figure is its seriously strong 32.6kgm that’s second only to the larger-hearted XUV500’s 33.6kgm. Contrary to expectation, though, real-world performance is a mixed bag. There’s considerable turbo lag under 1800rpm and what amplifies the issue is the tall gearing. The net result is you have to wait for power to come in and this can be frustrating at constantly varying city speeds. For what it’s worth, the clutch doesn’t require all that much effort and gearshifts are actually quite nice. Where the S-Cross really redeems itself, though, is on open stretches of road. There’s a strong surge of power right from 1800rpm to about 4500rpm and this gives the S-Cross what feels like the liveliest mid-range. Correspondingly, overtaking vehicles on the highway doesn’t require much planning. For the record, the S-Cross is the fastest of these cars from 80-100kph in fifth gear. It also happens to be the most relaxed cruiser. The engine spins at 1900rpm when driving at 100kph in sixth gear. Just wish the engine ran slightly quieter while at it. In contrast, engine refinement is a highlight on the Creta. Idle is fairly quiet, there are no vibrations to report of and the noise from the engine bay only becomes a bother past 2500rpm or so. Thing is, in everyday driving, you won’t need to rev the 126bhp engine too hard anyway. Power comes in fairly early and there is a noticeable step up at about 1800rpm. 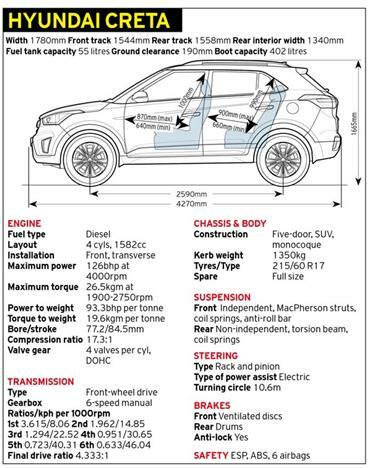 Add to this a reasonably light clutch and smooth-shifting gearbox and you have an SUV that’s well suited to city use. The Creta isn’t the quickest through the gears but in-town performance, on the whole, is pleasant. Even out on the highway, there’s enough mid-range punch to get you by traffic with ease. Interestingly, while the engine may come across as easygoing, it powers the Creta to the fastest 0-100kph time here. 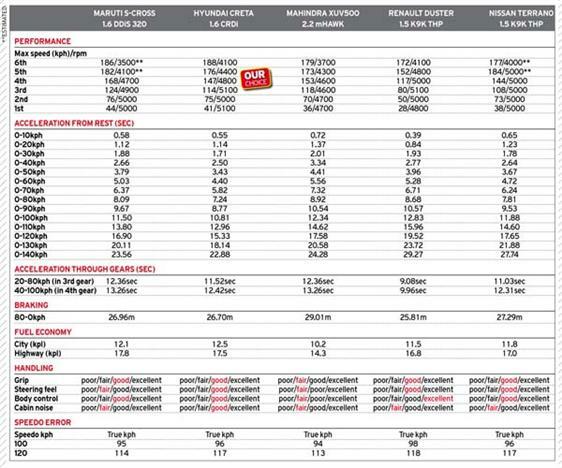 The 108.5bhp Duster AWD may be at the other end of the performance chart in the dash to 100kph but in-gear timings in the first four ratios better all the other cars’, and by a huge margin. It’s all down to the AWD version’s short gearing; third gear tops off at 80kph which is just a bit more than what others do in second! In town, the Duster feels alert at all times and picks up pace from all speeds without delay. Tractability is absolutely fantastic from as low as 1500rpm and this saves you the bother of unnecessarily having to work the notchy gearbox and a weighty clutch. The Duster AWD is a reasonably able cruiser too. The top two gears help you keep triple digit speeds with ease. The Terrano may use the same 108.5bhp engine as the Duster AWD but on the Nissan, the engine makes its 25kgm of peak torque at 2250rpm while on the Duster AWD, it’s available at a lower 1750rpm. This, and the Terrano’s taller gearing combine to deliver a fairly different driving experience. That tug in the bottom-end comes in a bit later on here, and you don’t get the same go as you do in the Duster AWD. Viewed in isolation though, the Terrano performs admirably well, be it in the city or out on the highway. Again, drivability is good and here too, you can get by in a higher gear than warranted. Just as well because the Terrano’s clutch is unduly heavy. 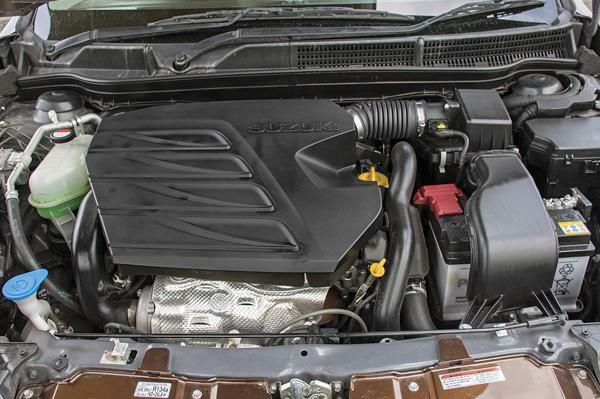 In terms of power and torque numbers, the XUV500’s engine is the strongest with 138bhp and 33.6kgm on offer. However, the XUV is also the heaviest car here (kerb weight is a portly 1830kg). It is the slowest through the gears but to be fair, it doesn’t feel so. Power delivery is linear and the engine’s good drivability sees a further improvement, thanks to tweaked gearing. The springy clutch is still snappy but it’s more progressive than before. Unfortunately, the gearbox remains the weak link in the package. Gearshifts aren’t precise, feel rubbery and require effort. 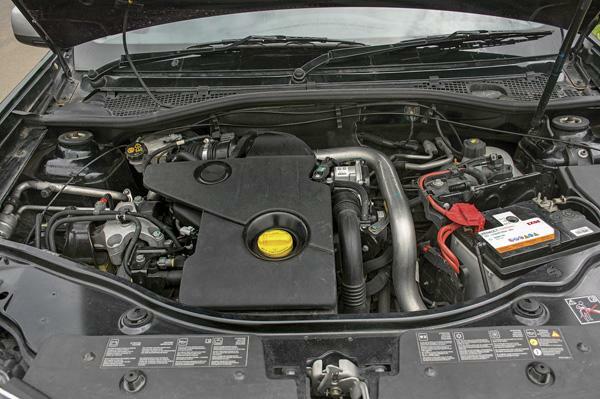 The relatively rough-sounding engine note is also unlikely to find any fans. The S-Cross sits the lowest of these models and that means dynamics are most car-like here. Turn-in is good and for the most part, it behaves like a sporty hatchback. Push the S-Cross hard though and its heavily grooved JK tyres will squeal in protest. The steering is also no great shakes. It feels vague just off dead centre and lacks sufficient self centering as well. Still, the S-Cross works well as a long-distance vehicle. High-speed stability is impressive and body movements are well controlled. In town, there is a firmness to the ride but it’s not jarring in the least. Low-speed ride quality is actually best on the Creta. It rounds off the bumps taken at moderate speeds better than all others here and the suspension also goes about its business in a nice, smooth manner. 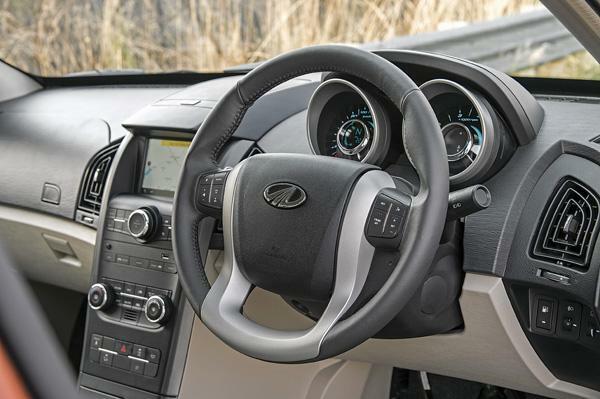 The steering is also easiest to twirl, which, along with the good low-speed ride, ties in with the Creta’s other virtues as a city-friendly car. What’s good is that, unlike most other Hyundais, the Creta doesn’t feel out of its comfort zone on the straights and sweeping sections of highways either. There’s plenty of feel at the steering, body movements are predictable and stability is reassuringly good. But for high-speed cross country expeditions, the Duster AWD is still the one we’d pick. It feels the most planted at speed and absorbs bad patches of road with absolute ease. The AWD’s independent rear suspension has really added to the standard Duster’s already impressive road holding ability and comfort. There’s also less of that steering kickback that plagued early Dusters, so you can approach broken stretches with even more confidence than before. You do feel some of the suspension’s stiffness at low speeds though – expansion joints and the like do make their presence felt. Handling is also neat, if not lively, and the steering also feels accurately weighted at most speeds. Around the corners, the Terrano feels no different to the Duster AWD. But drive it on poor roads after a go in the Duster AWD and you’ll find the Nissan’s suspension comparatively clunky and the steering to kickback with more frequency too. 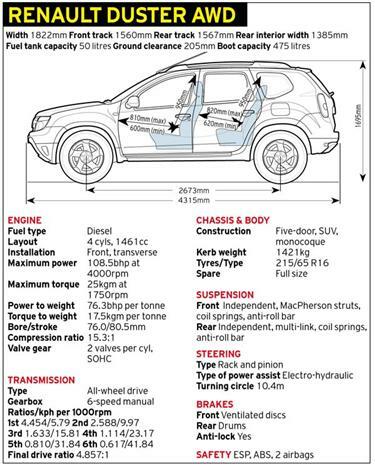 The first bit is to do with the Terrano’s non-independent rear suspension and the effect of its unsprung mass. The second is possibly a result of different tuning for the front suspensions of the all-wheel-drive Duster and two-wheel-drive Terrano. All said, the Nissan is a very confident high-speed cruiser and also a car that’s not particularly disturbed by our pathetic city roads. 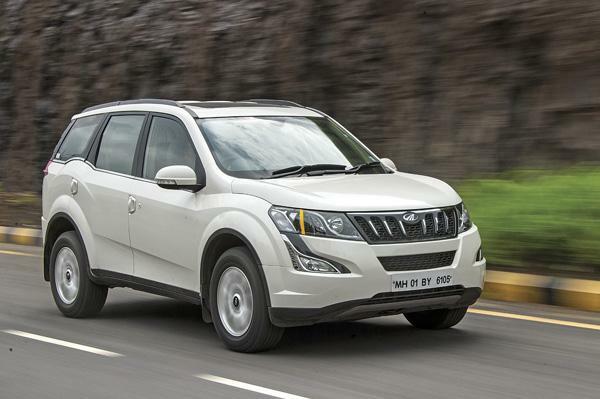 Mahindra has tweaked the XUV500’s steering, dampers, springs and anti-roll bars to improve dynamics and owing to that, there’s less of that disconcerting nose dive under hard braking and torque steer is also less prevalent now. Overall ride quality remains decent but the XUV’s suspension doesn’t filter out surface imperfections and is still a weak point. The XUV never feels as settled as its rivals. It also feels its size, be it in town or on a ghat road, and that works against it in this company. Enquire about fuel economy at your local dealership and you can expect to be told at least a bit on how these cars have been made to stretch each litre of diesel the farthest. The S-Cross’ wing mirrors, underbody and front bumper, for instance, have been optimised for smoother air flow and hence, better efficiency. Then there’s the XUV and Creta that come with intelligent alternators that are designed to reduce load on the engine where possible. The Duster AWD also offers you the option of switching to an ‘ECO’ mode that dulls engine responses a bit to aid efficiency. In our city and highway test cycles, the Creta proved the most frugal, if only marginally ahead of the S-Cross. The Terrano and Duster do rather well here too. Expectantly, the larger and heavier XUV trails the others on this front but it is efficient in its own right. Worth mentioning here is that the XUV’s 70-litre tank is the largest in this lot and this gives it the most range between fill-ups. 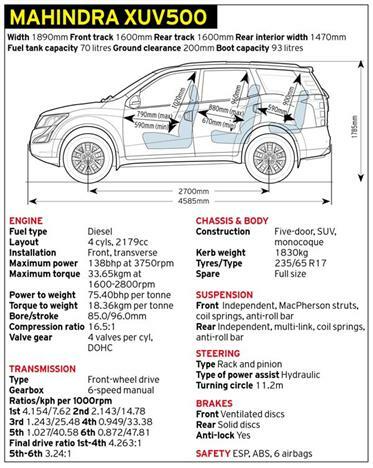 The XUV500 may be the most expensive model here but then, your money also gets you a whole lot of SUV. There’s lots of equipment too, so, as a value proposition, the Mahindra makes a strong case for itself. Of course, the XUV is also the best bet for buyers with large families who’ll find its third row of seats give it a flexibility none of the other cars here can match. But apart from the extra row of seats, it’s hard to recommend the big Mahindra. It just lacks the overall finesse of rivals, be it in terms of the mechanicals, fit and finish or the way it feels and drives. 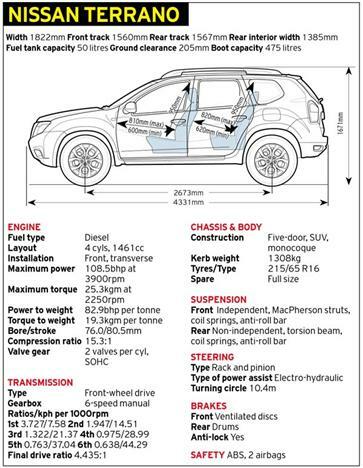 The Terrano, on the other hand, gets the basics right. It looks good, rides well and comes with a strong and fuel-efficient engine. In this competition, it’s also the model with the lowest price tag. Thing is, the Terrano misses a lot of equipment and also feels far too basic on the inside. The unduly heavy clutch also marks the Nissan down as a car for the urban grind. Similarly, mediocre low-speed engine responses play spoilsport on the S-Cross, that is otherwise a pretty well-rounded package. It’s loaded with features, offers good comfort for four and is also reasonably fun to drive hard. True, the crossover shape may not find favour with everyone, but see it for what it is and the S-Cross impresses. 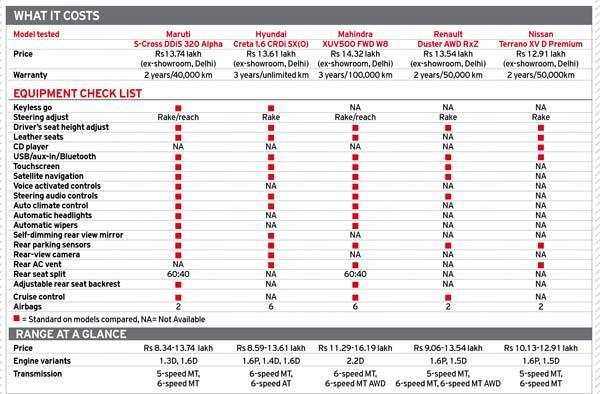 That said, Maruti should have been more aggressive with pricing, especially on the 1.6 diesel version; it costs Rs 3 lakh more than the 1.3 version and such a premium for the engine alone seems hard to digest. A lower price tag would have also given the S-Cross a stronger footing against the more desirable SUVs it has to compete with. In contrast to the S-Cross, the Duster AWD has the right image and peppy real-world performance as strengths. Ride quality is also excellent and highway manners are fantastic as well. And thanks to the all-wheel-drive setup, the Duster is also the most capable off-road. 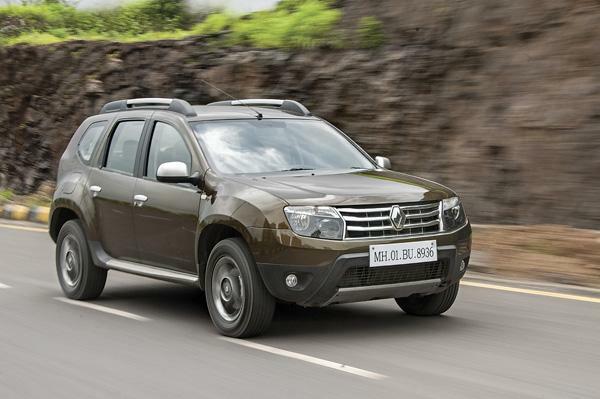 Is the Duster AWD worth the Rs 1.2 lakh premium over the standard Duster? If you must have a Duster, yes it is. The problem is, when you compare the Duster AWD to the similarly priced Creta, it doesn’t seem as good a deal. For starters, the Creta is better equipped than the Duster AWD in terms of safety kit and features. 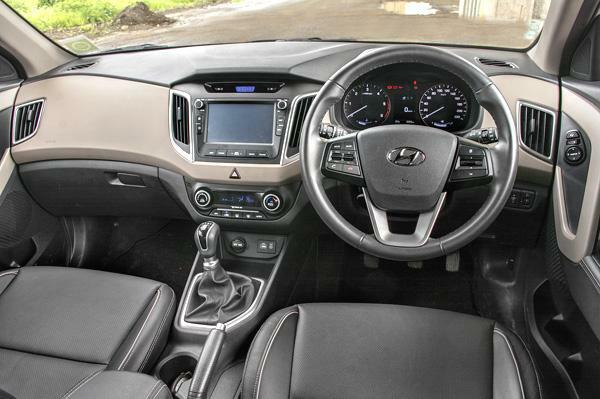 The Hyundai also has the more attractive cabin that’s not only better finished but generally more user-friendly too. In terms of overall refinement as well, the Creta has the edge over the Duster. Sure, the Creta isn’t as peppy as the Duster in town nor does it ride with the same authority over broken roads, but it’s not far behind on either count. In fact, the Creta has more strengths than weaknesses, which means it ends this comparison with the most points to become our pick of this lot.